Connect the dots to make a box: the player with the most boxes wins! 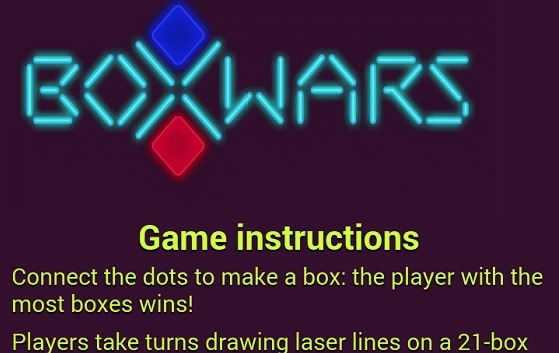 Players take turns drawing laser lines on a 21-box grid, completing boxes to light them up. The game ends when all the boxes are lit. Complete the most boxes to win the Box War!